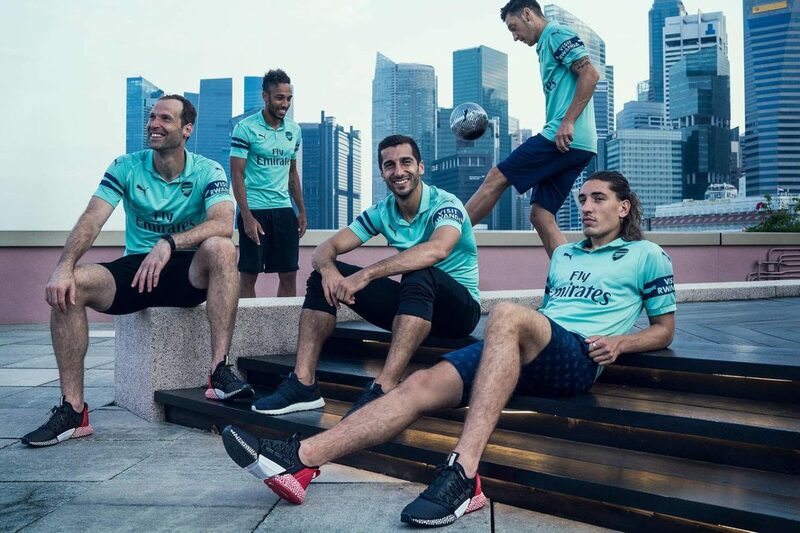 Arsenal have released their third kit for the new season with their stars modelling the kit in Singapore. 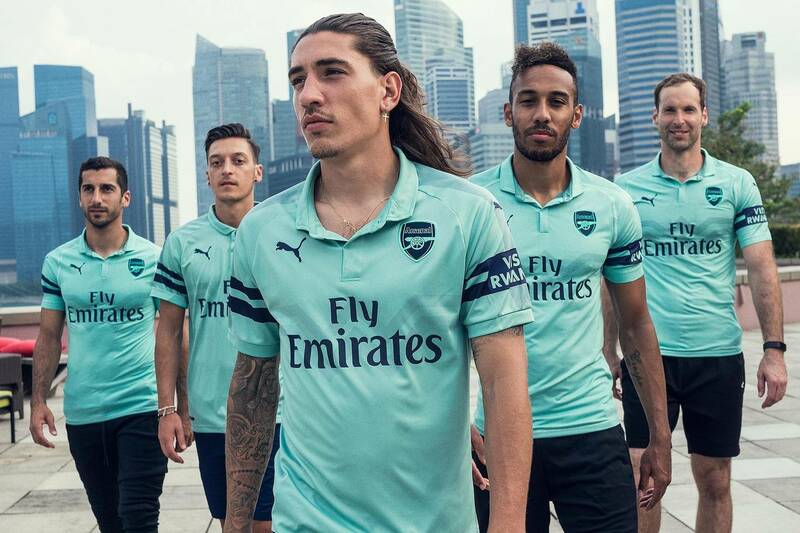 Hector Bellerin, Pierre-Emerick Aubameyang and Mesut Ozil were among the players to model the mint green jersey. 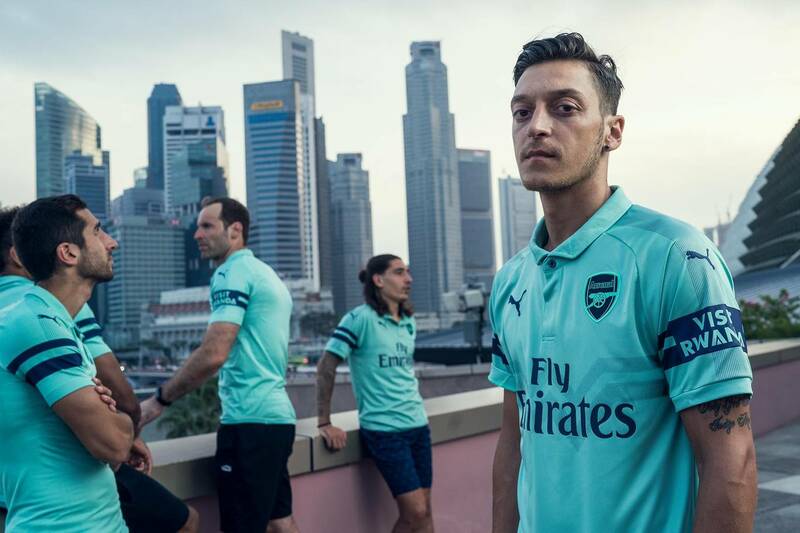 The jersey represents a departure from the traditional Arsenal colours from recent years though it bears some semblance to the 1982-83 ‘Bluebottle’ kit. 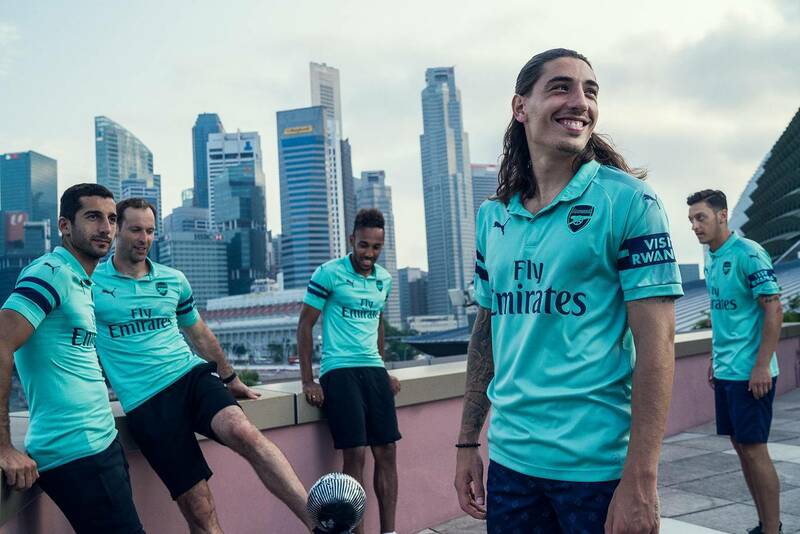 The jersey will be matched with navy blue shorts and navy-hooped green socks. The jersey has a large ‘W’ patterned in the middle to complement the M that is spread over the away jersey pays. It pays tribute to the WM formation the Gunners used in the days of Herbert Chapman. 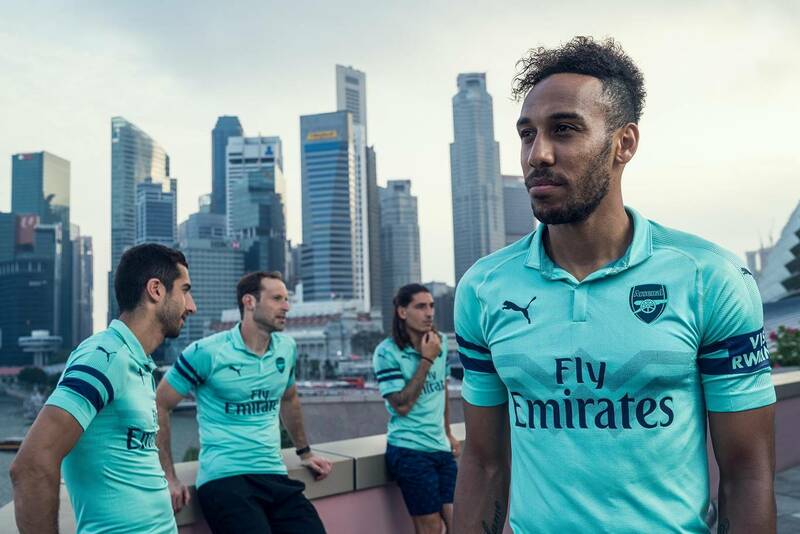 The kit producers, Puma describe the colour as ‘Biscay Green’ with a ‘Peacoat Navy’ detailing, which is a completely new shade for the club. 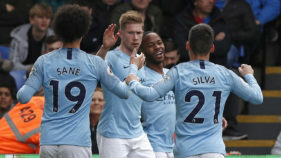 According to Puma, the shirt and shorts are engineered using their highly-developed evoKNIT thermoregulation technology, an enhanced moisture management and adaptive cooling system that helps create the perfect on-pitch body temperature. 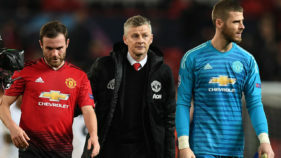 The Gunners have a new manager for the first time since 1996 when Arsene Wenger took over after Arsenal sacked Bruce Rioch. 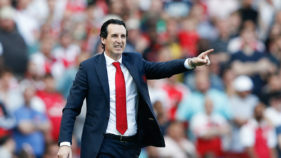 Unai Emery will lead the side into the new season in what has been termed the post-Wenger era.